Stella Arnaldo's Blogspot: Where the hell is Nico Sepe? FOR those wondering where in the world is uber-hip photographer Nico Sepe, well, the answer is Sri Lanka! He wants all his friends and fans here in the Philippines to know he's still alive and wants to share some of his favorite photos with you guys. THE canvas on which photographer Nico Sepe paints with light is the whole world. 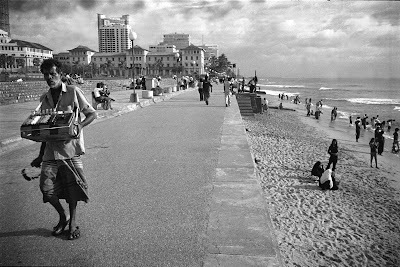 His recent works are vignettes of daily life in Sri Lanka where he has been based since 2007. Sepe knows no boundaries when it comes to fulfilling his fulltime commitment to photography. He documents realities with piercing rawness as he has done since the late 70s in the Philippines. "This is really a continuation of my commitment to photography. It never stops...I’m still around, still shooting and continuing my dedication to inform thru pictures," he said. 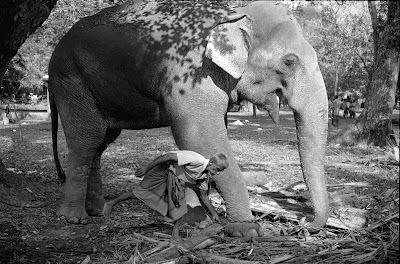 While most of the world see Sri Lanka as nothing but a place caught in the conflict between the Tamil tigers and the government, Sepe offers what he has witnessed – that of Sri Lankans' ordinary, day-to-day struggle to survive. 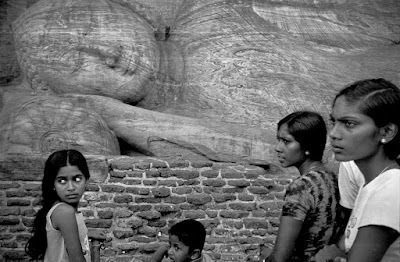 Sepe’s black and white images captured the lives of people in different corners of this South Asian country including the Sri Lankan capital of Colombo, the ancient city of Anaradhapura in the northwest and the southwestern city of Moratuwa. "I’ve never seen these angles before. It's different when it comes from a person who is not a Sri Lankan," he said. This is not the end of it. Sepe is planning to hold another exhibit soon. He doesn’t know for certain where his next stop would be but for now his home is Sri Lanka where he lives with his wife and two children. Back here in the Philippines, he has documented the lives in the underground movement during the latter years of the Marcos dictatorship in the Philippines in the 1980s. 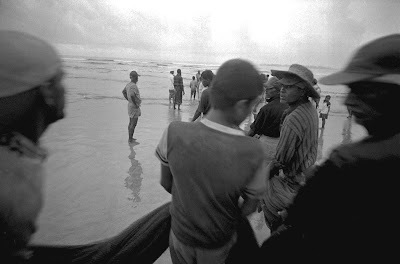 Since then Sepe has contributed significantly to documenting the social and political changes. Most assignments were commissioned by non-government organizations but his desire to photograph realities led him to fund some of the documentaries himself. Co-founder of the Center for Documentary Photography now known as the Philippine Center for Photojournalists and former senior staff of different newspapers and magazines in the Philippines, he has worked on various worthy book projects. These include Philippines: A Journey through the Archipelago, the Philippine Navy's Tides of Change, the University of the Philippines' Sipat, the Ateneo de Manila University's Chinese-Filipino book and the coffeetable book “Portraits of a Tangled Relationship." His works have been widely recognized by fellow photographers and various global institutions. Nico Sepe may be reached at nicosepe@yahoo.com. His online galleries are at www.katumbukan.blogspot.com and www.nicosepe.com.